What's On Opening Weekend of the Royal Horse Show? 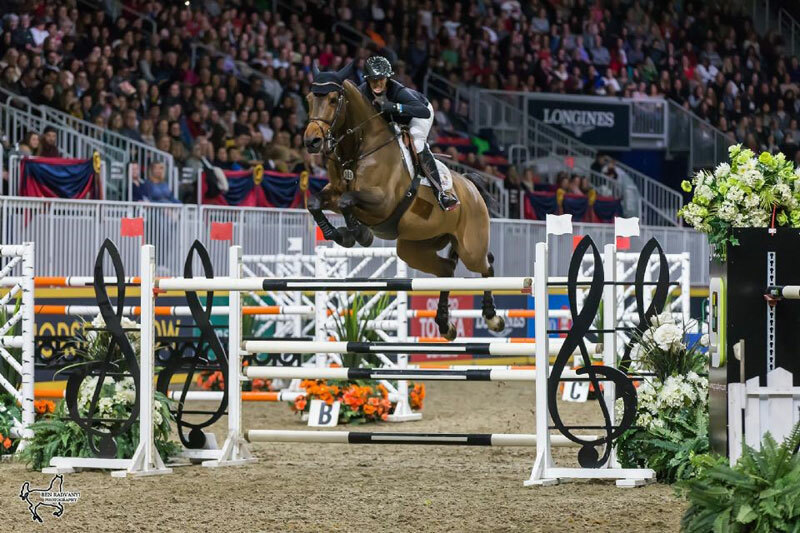 Show jumping and indoor eventing will highlight opening weekend at the Royal Horse Show, held as part of the 96th Annual Royal Agricultural Winter Fair, from November 2 through 11, 2018, in downtown Toronto, ON. Amy Millar of Perth, ON, will defend her title in the $125,000 Canadian Show Jumping Championship on Friday and Saturday evenings, November 2 and 3. Having claimed her first national title riding her 2016 Rio Olympic Games partner, Heros, at last year’s event, Millar is hoping for a repeat performance. No stranger to the Royal Horse Show, Millar has been attending the annual event since she was a child. Opening Night of the Royal Horse Show will feature the $25,000 Canadian Show Jumping Championship, Round 1, presented by Lothlorien. Following Friday night’s speed round, horse-rider combinations will return in reverse order of standing to tackle the $100,000 Canadian Show Jumping Championship, Round 2, on Saturday night. Acclaimed course designer Alan Wade of Ireland will set the show jumping tracks throughout this year’s Royal Horse Show. In addition to determining who will be crowned this year’s Canadian Champion, the Canadian Show Jumping Championship also determines which riders move forward to the Royal Horse Show’s international division, held during the second week of the Royal Horse Show and highlighted by the $205,000 Longines FEI Jumping World Cup™ Toronto, presented by GroupBy. Two spots are open to the top-placed competitors not already qualified. Erynn Ballard, Mario Deslauriers, Keean White, and Ian Millar are pre-qualified based on their standings in the Longines World Rankings while Jump Canada’s high performance committee has named Ali Ramsay and Beth Underhill as its two picks for the international division. The $20,000 Horseware Indoor Evening Challenge will kick off the excitement on both Friday and Saturday evenings with the fast-paced thrills that come from jumping solid cross-country obstacles combined with delicate show jumping fences at high speed. A master of his trade, Great Britain’s Mark Phillips will once again design the tracks in the Coca-Cola Coliseum. Hot off a recent appearance at the 2018 World Equestrian Games, Canadian Eventing Team members Lisa Marie Fergusson, Colleen Loach, and Selena O’Hanlon will be among those looking to take home the lion’s share of prize money. Lauren Kieffer, veteran of Pan American Games, World Championship, and Olympic Games competition for the United States, will be making her Royal Horse Show debut in this year’s Horseware Indoor Eventing Challenge. Kieffer will have the added challenge of riding an unfamiliar horse. She will be paired with Glendening Avis, a 13-year-old Canadian Sport Horse mare that owner Callie Evans has successfully competed through to the three-star level. In addition to show jumping and indoor eventing, fans will also be treated to an exciting line-up of featured entertainment on Opening Weekend. Australia’s Guy McLean will demonstrate his unique form of natural horsemanship on both Friday and Saturday nights while Pogo Puissance by Xpogo will take jumping to new heights as young athletes attempt to set records by jumping obstacles on pogo sticks. Follow the Royal Agricultural Winter Fair on Facebook and YouTube, @royalhorseshow on Twitter, and @theroyalfair on Instagram for a behind-the-scenes look at the Royal Horse Show. Please use hashtags: #RAWF18, #RoyalFever, #RoyalHorseShow, #FEIWorldCup, and #Longines if you plan to write about the Royal Horse Show and the Longines FEI Jumping World CupTM Toronto on your outlet’s social media channels.